Our latest and most significant capability is the addition of our Xeikon Digital Press. 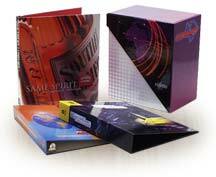 This state-of-the-art press produces beautiful 4 color process graphics in small quantities. This digital technology eliminates the need for costly film separation, proofs and plates required for offset printing. To our knowledge, we are the first loose-leaf binder manufacturer to invest in this exciting new technology. Digitally Printed Stock binders are available in three capacities – 1", 1.5" and 2". Each binder is constructed to the highest SimPro quality standards. SimPro's legendary quality and service is now available in stock and custom printed binder products. Contact SimPro today and get the color and impact your documents deserve! 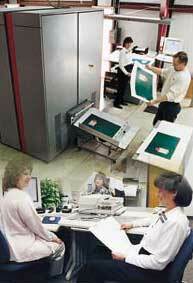 SimPro has been specializing in document presentation products since 1979. OUR MISSION: To Deliver The Right Product, On Time, Every Time.